With Triskell, you can activate new features or extend the scope & coverage of your Solution with ease. And more importantly, for Free. 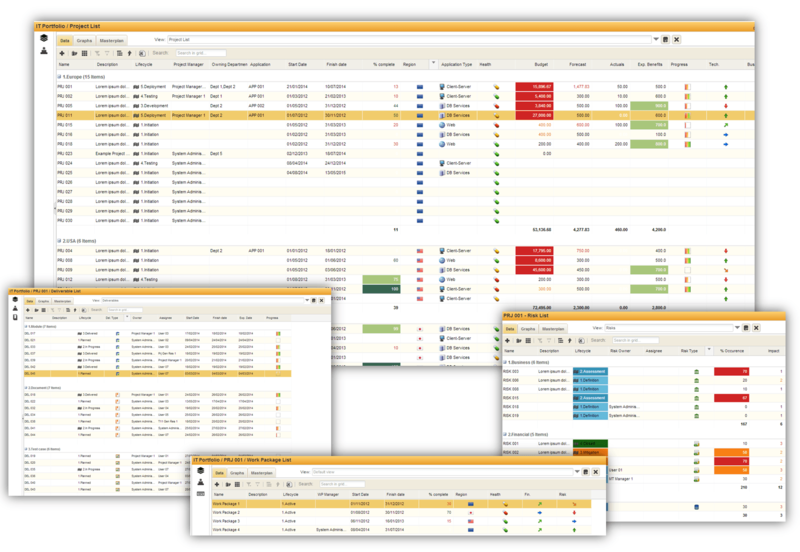 Designed to be intuitive, transparent, and hassle-free, Triskell allows customers to address new business stakes very quickly. Unique User Interface to ensure Functional and Technical Consistency. Intuitive Navigation and data access. No Technical patchwork, all functionality included in Solution. Get rid of Activation and Customization of new functionality. A reach and Modern set of Functionalities to cover all your needs. Triskell allows creating several portfolio structures to manage for instance products, projects, maintenances, applications, investments and more. They can include several types of objects. For instance, an IT portfolio may include projects, maintenances, support activities, risks, deliverables, tasks, issues. 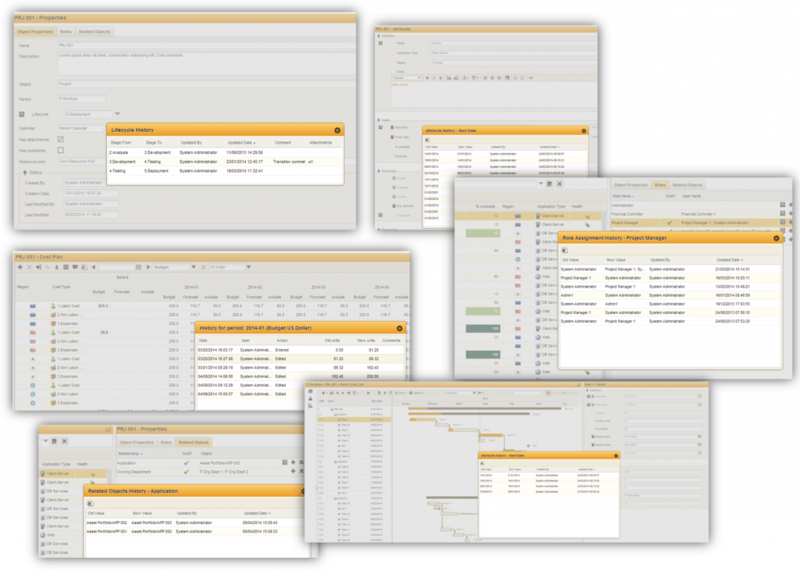 Each portfolio can have its own breakdown structure, with custom roles and objects attached. Portfolios can be attached to organizations. For example, the IT department can manage the IT portfolio, the R&D the product portfolio. Organizations can be hierarchical (i.e business unit / departments / teams). Each Organization can have its own breakdown structure, with custom roles and objects attached. Management Structures can be used to manage budgets, users & resources, ownerships (i.e. a project is attached to a department), financial & headcount capacity and more. 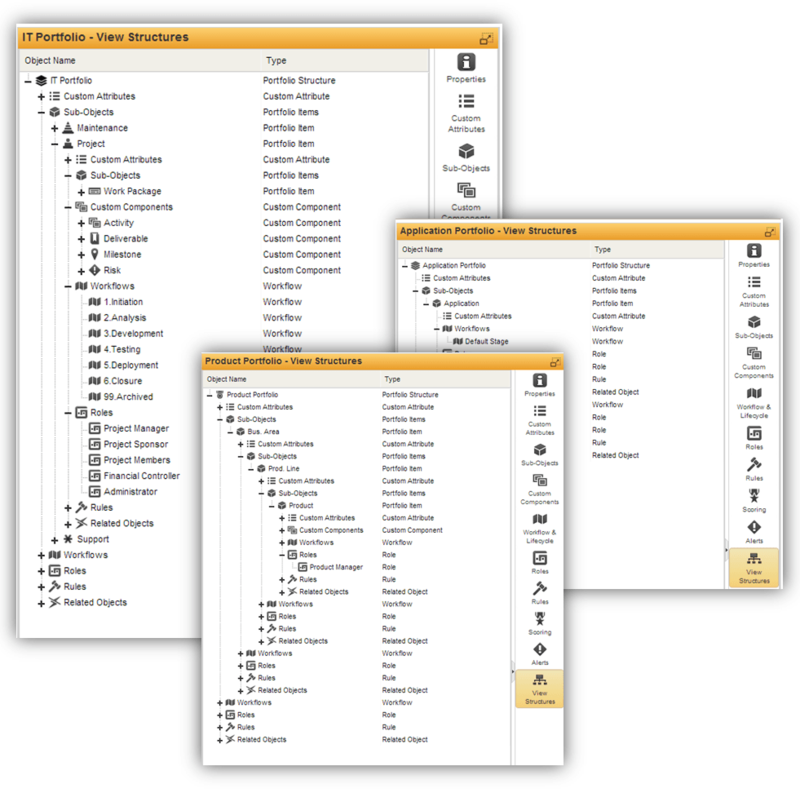 An unlimited number of custom attributes grouped in custom panels. An unlimited number of custom roles defining the access to the properties, the attributes and the features for that object. 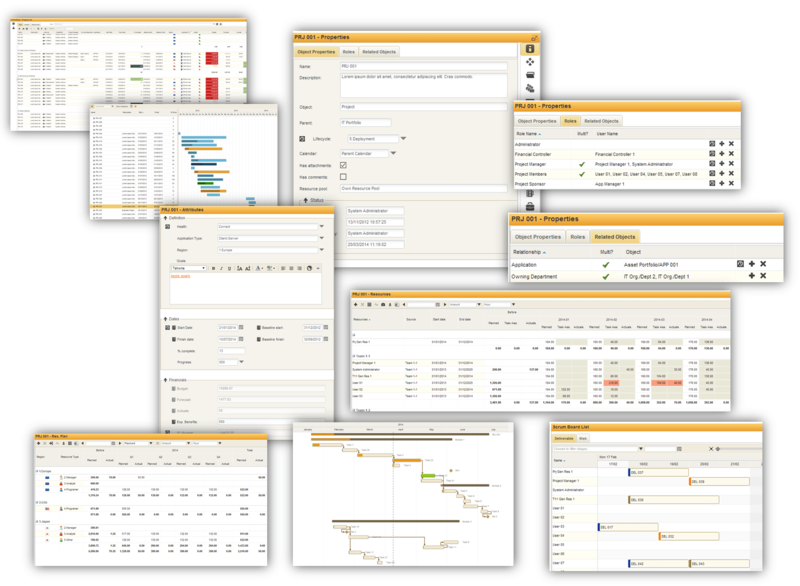 A set of features for the object: master plan, Gantt chart, scrum board, resource pools reports and much more. An unlimited number of custom relationships with other objects: projects can be attached to products and departments, risks to deliverables, issues to customers, tasks to issues and so on. You can tune up your Solution as you want. 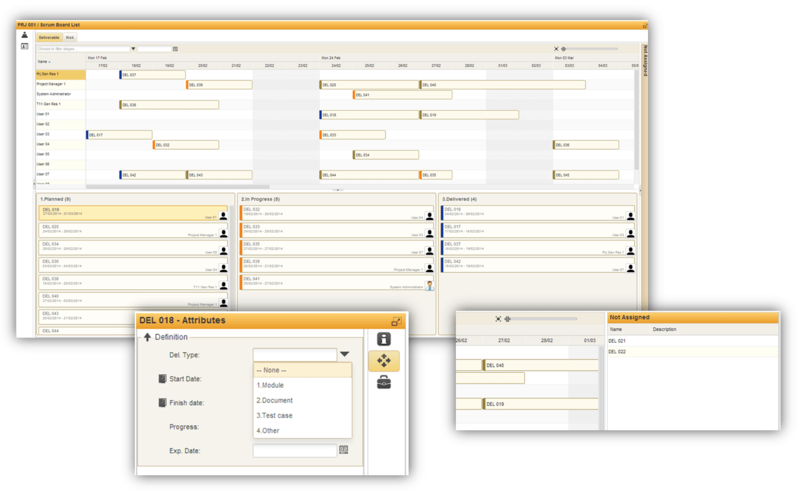 Stages with control of the roles, attributes and features accessible at that stage (in combination with the user role on the object). Transitions between stages with mandatory documents and comments. Transitions can be controlled by role, so that only certain roles can advance an object from a stage to another one. History of lifecycle changes for accurate tracking. Public and private versions (i.e. budget, forecast, actuals): versions are secured by role and lifecycle. No limit in number of versions. Versions can be edited simultaneously in the same grid. Up to 5 analysis axes for data entry (i.e. cost types, regions, resource types, budgetary buckets) with automatic aggregations. Multi-currency for budgeting: edit data in Euros, Dollars and any other currency in the same grid. 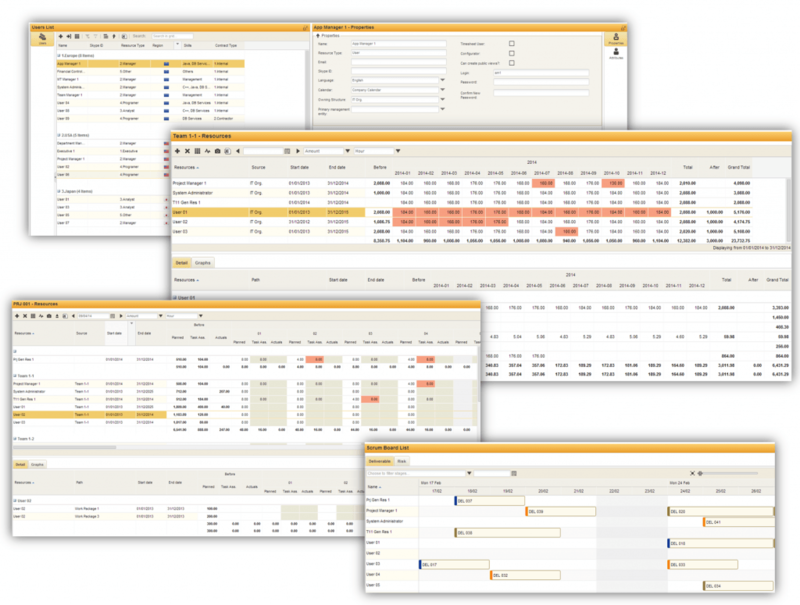 Multi-unit for resourcing : edit data in hours, man-days, man-month and any other unit in the same grid. 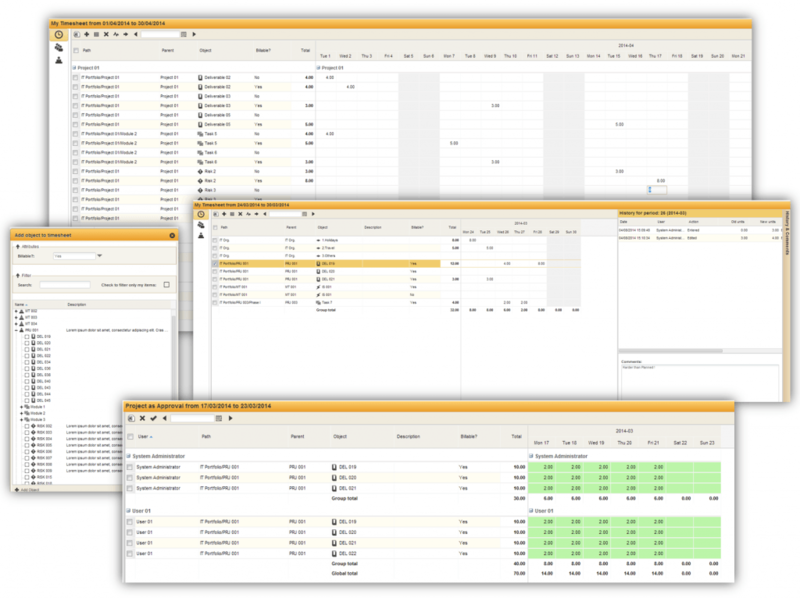 Multi-timeframe : enter and view data by month, quarter, year or globally. Automatic rating of amounts based on custom rate tables. Embedded rollups from child related objects, from pools and timesheets. An unlimited number of attributes can be attached to every Triskell object. Those attributes can be text, rich text, list, dates, numeric, boolean or time-phased. Maximum, minimum and default values can be defined for each attribute. 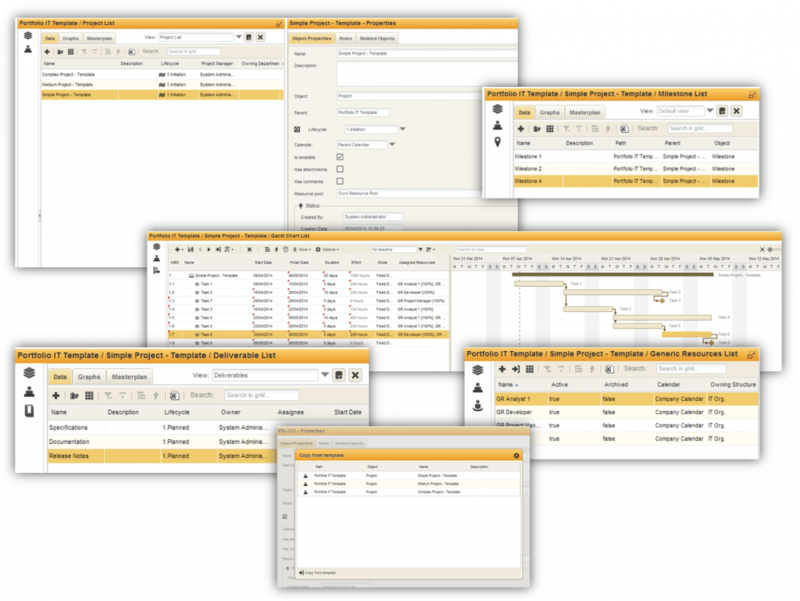 Attributes can be grouped in one or several panels with groups, tabs, sections and columns. Access to attributes is controlled by role and lifecycle: hidden, read or edit. Attributes can be defined as mandatory. Icons and colors can be defined for list values and are displayed in scorecards. Color ranges can be defined to highlight numeric attributes in panels and scorecards (i.e. score lower than 3 = red). Change tracking: Any change made to an Attribute by a user will be saved and displayed in panels and scorecards. Any change made to a role, lifecycle, attribute, time-phased attribute is recorded by Triskell. It allows users to analyze how information has evolved over time and who changed the values. Change tracking can be activated or deactivated by attribute. Changes are displayed in panels for each attribute. Changes are also displayed in the scorecards. Public and private views to speed up data access and analysis. Embedded security on data: users can see only what they are allowed to. Custom columns, filtering, sorting and grouping (saved in the views). Paging to allow manipulation of large amounts of data. Display of attribute icons and colors. Advanced tooltips for guidance and data changes. Exportation to MS Excel or other systems. 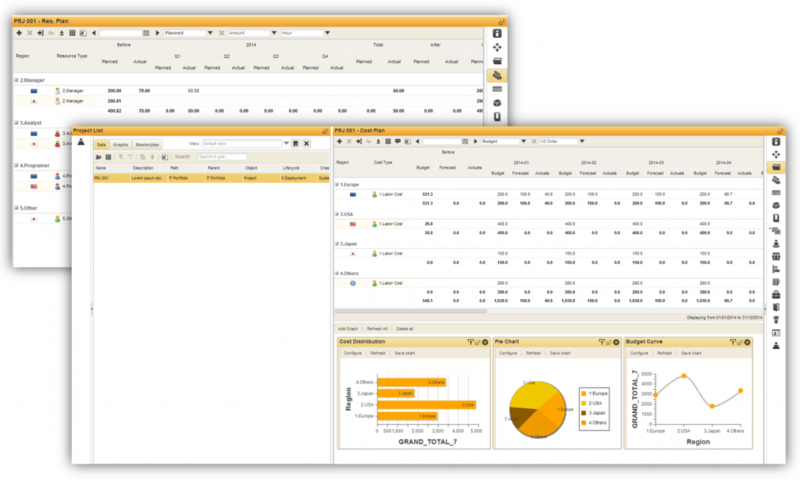 In addition to scorecards, Triskell allows users to define dashboards and master plans for any set of objects. Filters defined for the scorecards are taken into account in graphs and master plans. Multiple graphs can be displayed on the same page. Standard representations are available: pie charts, histograms, curves, scatter graphs. Graphs can be exported as images. Master plans can use colors defined by lifecycle stage for visual enhancement. Master plans can display baselines and progress. Triskell embeds powerful staffing & resourcing capabilities allowing you to control how resource capacity is used through organizations and actions. Users can be assigned to different organizations (IT Department, R&D) and within those organizations to management entities (departments, teams…). Management entity managers can define the global capacity for each user per period (day, month, quarter, year). Generic resources can be created also for each entities to plan and schedule future resources. Users and generic resources can be allocated to projects, maintenances (as member of the associated resource pool). They can then be assigned to sub-objects like tasks, work packages, risks, deliverables or any other object. 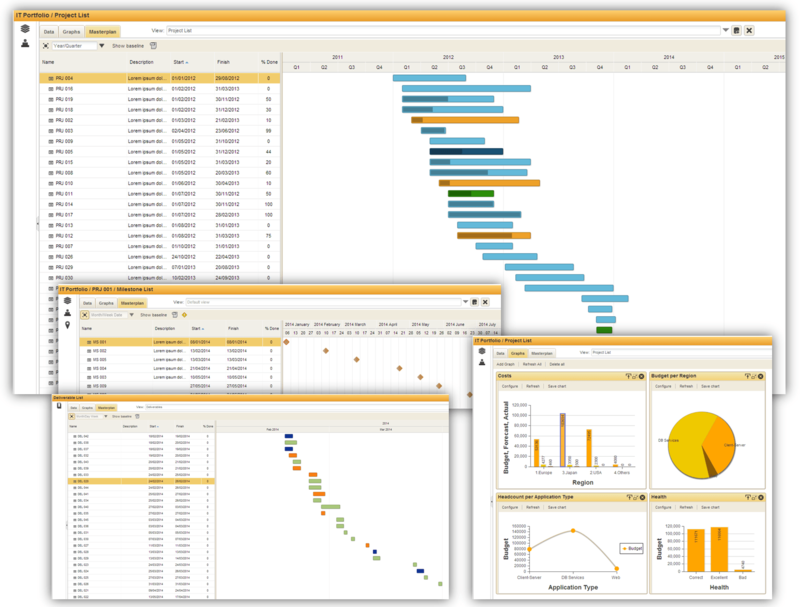 Highly dynamic panels allow each manager to visualize quickly how resources have been allocated, how they have been assigned and what the potential gaps are. All panels include dynamic rollups from Gantt chart and timesheets. They also include automatic rating, and edition in several resource units (hours, man.days, man.month …) and timescales (per day, per month, per quarter…). Staffing & resourcing data can be rolled up to time-phased attributes or to numeric attributes for further analysis and reporting. Our scoring models are based on the SMART approach (Simple Multi-Attribute Rating Technique). SMART scoring models can be associated to any object in Triskell. For example, it is possible to apply score calculation on projects, requests, risks, issues or any other object that has been created. Calculated scores can be saved as attributes and displayed in scorecards. Scores are based on hierarchical scoring structures. Each node can be weighted to maximize/minimize its importance. Each node includes a threshold to highlight it if its score is lower than the threshold. 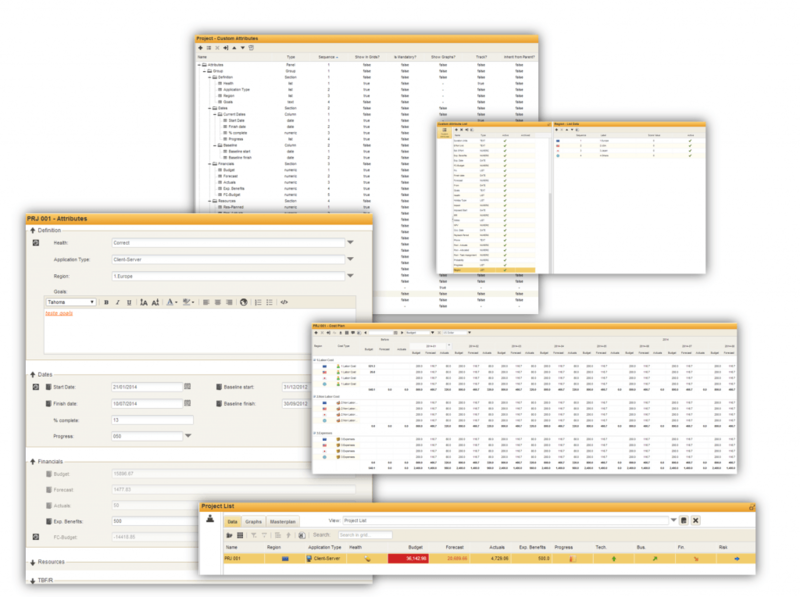 Score can be used for filtering, sorting and grouping in scorecards and scenarios. Triskell supports scenarios on any object. 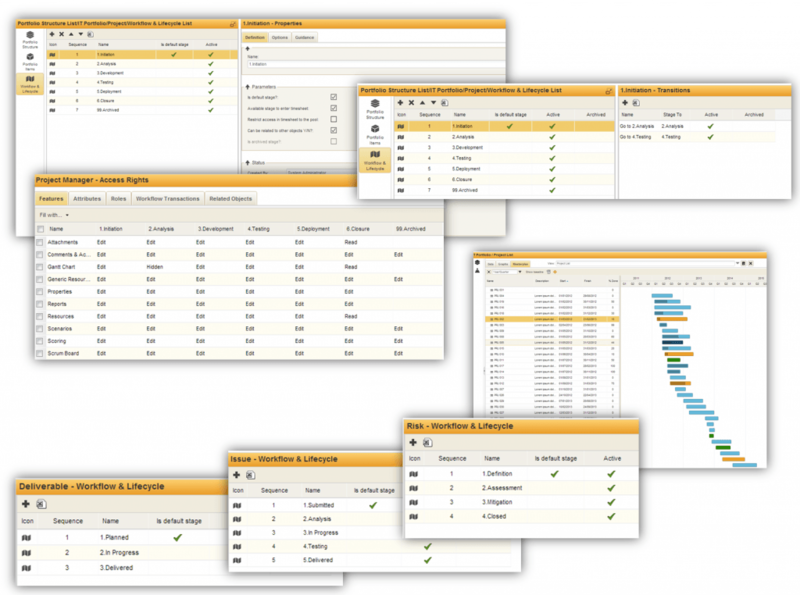 For example, users can build scenarios on a list of projects, products, issues, deliverables or risks. Users can delay objects to optimize the scenario. Results are saved as attributes for each object and as versions (for time-phased attributes) for further analysis and decision making. Sub-object structures (i.e. work packages, phases, risks, deliverables, milestones). 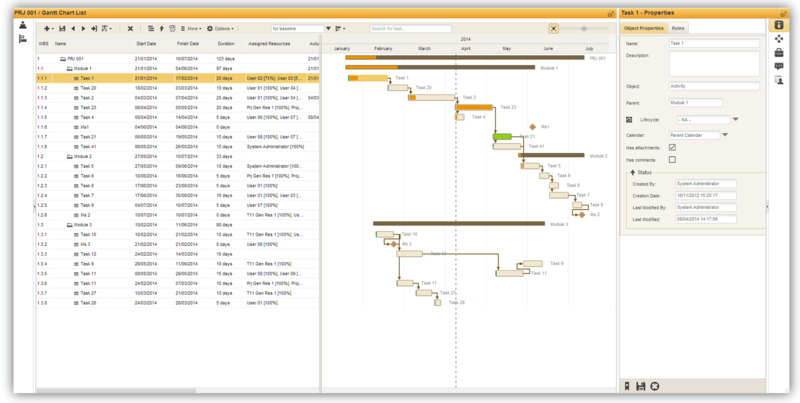 Gantt chart with tasks and dependencies. Timesheet displayed by week or month (one full week or one full month). Up to 4 axes for time entry and analysis: for example, billable Y/N, type (internal, customer). Time entry by day, week or month (i.e. a value per day, per week or per month). Possibility to enter the estimate to complete (ETC) per day for agile management. Actual and ETC units in hours or days. History of changes (values and status). Comments per Cell for extra information. 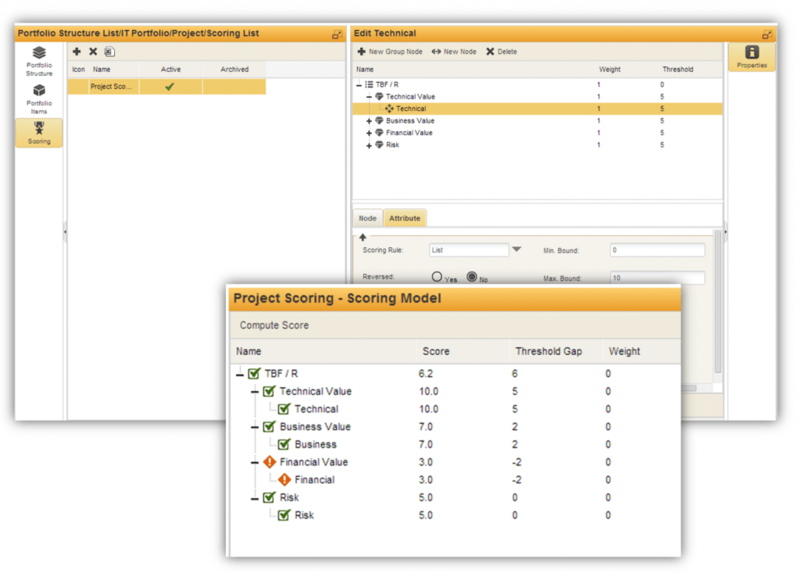 Multiple approvals per role (project manager, team manager…). Advanced search for objects to book time on. Automatic refresh as soon as data is updated – no manual process nor delay. 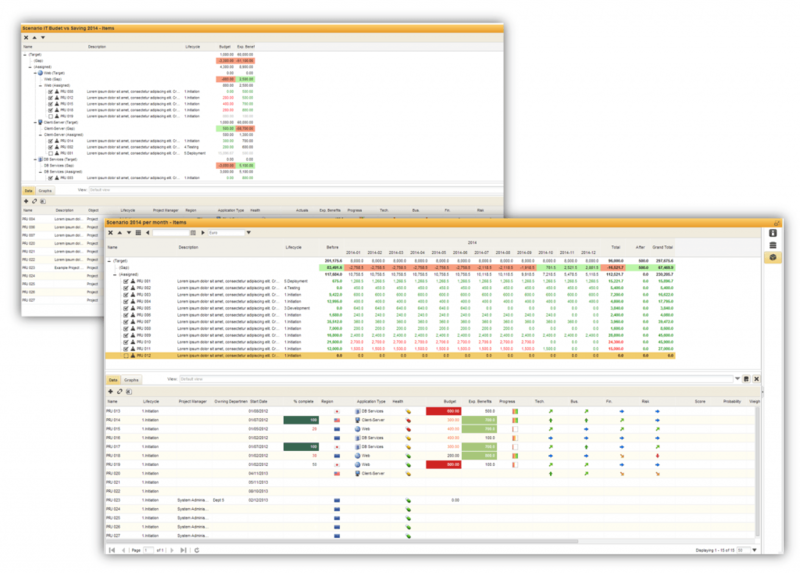 Any data managed in Triskell is accessible through the datamart. Data stores can be built in Triskell on the datamart to extract data – no extra- development needed. 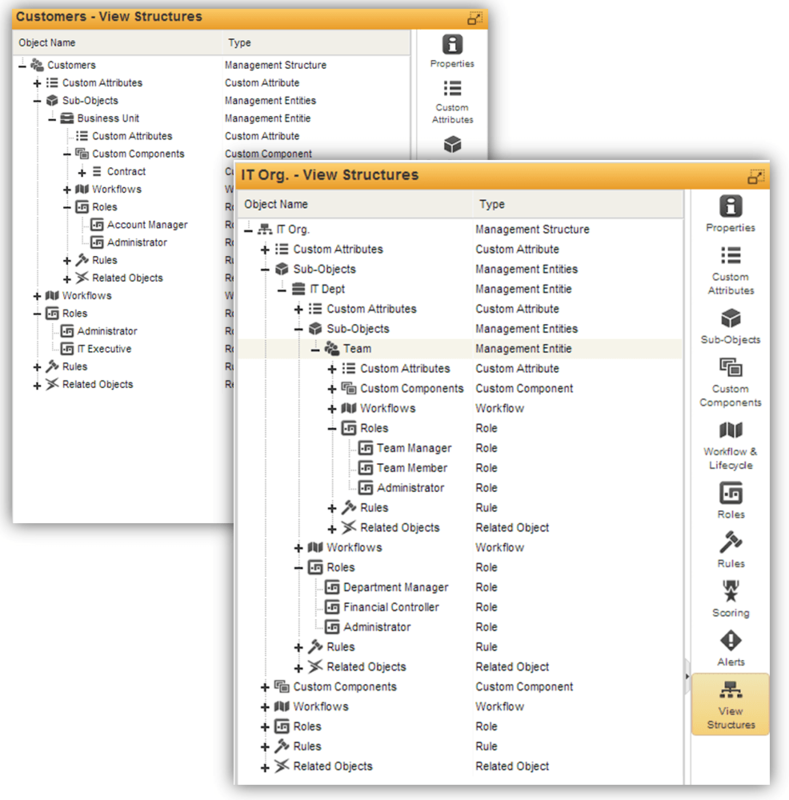 Data stores can include parameters to make them even more customizable. Custom reports can be built on these data stores. 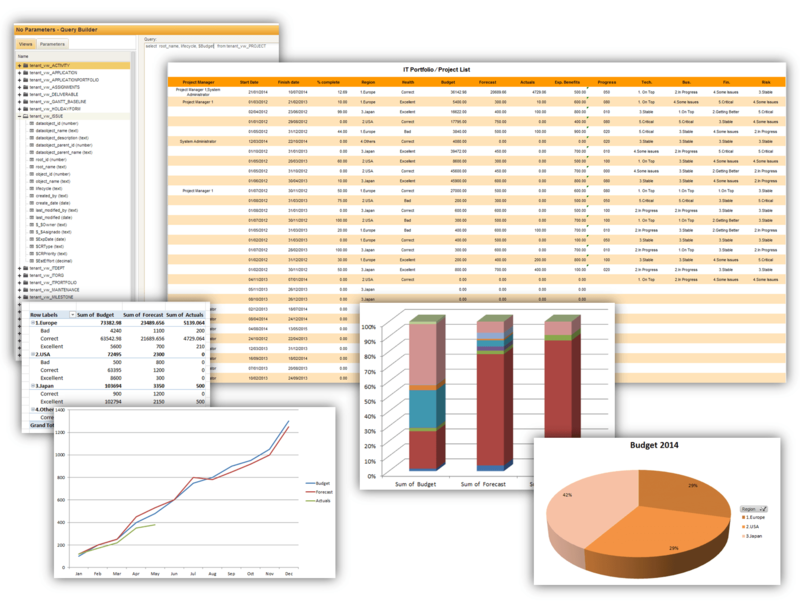 Output can be processed in Triskell or in MS Excel (with templates for layout and extra-calculation or graphs). 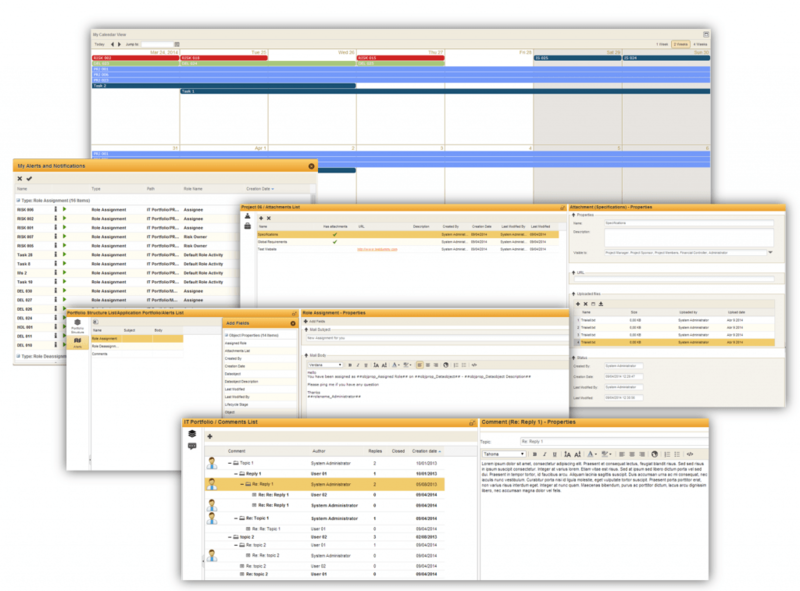 Document management with versioning – attach, view or download documents directly from Triskell.